This book is so good is made me want to cry and throw up all at the same time. Some authors are just so good at what they do, that you forget that you’re not actually at the scene, watching an army fight for their lives or being threatened by an evil Godking. But then the truly talented authors are those who make you feel disappointed when you come back to the real world. Brent Weeks is definitelyone of the latter. A new queen has usurped the throne and is leading Cenaria into disaster. The country has become a broken realm with a threadbare army, little food, and no hope. Kylar Stern plans to reinstate his closest friend Logan as King, but can he really get away with murder? In the north, the Godking’s death has thrown Khalidor into civil war. To gain the upper hand, one faction attempts to raise the goddess Khali herself. But they are playing with volatile powers, and trigger conflict on a vast scale. Seven armies will converge to save – or destroy – an entire continent. Kylar has finally learnt the bitter cost of immortality, and is faced with a task only he can complete. To save his friends, and perhaps his enemies, he must assassinate a goddess. Failure will doom the south. Success will cost him everything he’s ever loved. I don’t think the summary really does it justice, but then when do I ever? To me, the story is much more about the people than the military-based blurb given above. That’s the true beauty of the books in this series. The characters involved seem to jump off the page and demonstrate their feelings to you. You never have to guess; you’re shown implicitly. A large number of the quotes I really wanted to post involve spoilers so I won’t bother, but you can’t understand the true beauty of Mr. Weeks’ prose until you give it a try. It was Dorian’s confusion that impressed me the most. He’s trying desperately to make things right with his country and his wife, but has to make some dark decisions to get there and slowly becomes everything he had once hated. His internal struggles are amazingly portrayed – you can see his motivation but also feel his despair at the path he eventually walks down. He’s trying his best to do what’s right but can’t help but watch as it all blows up in his face. That sub-plot moved me, but the paragraphs that actually hurt me involve Vi. Over the past two books, we saw her develop from a shielded, secluded assassin into a young woman who realises how her upbringing has damaged her emotionally. She has to make some appalling sacrifices to please the man she loves and learn some things about herself that she had thought gone forever. Vi was instantly swept off her feet and spun by the force of the water, but with effort she regained her feet. Above her she saw the Vurdmeisters – there were only three now – throwing fiery death toward her, but nothing came even close. On the Cenarian shore two hundred women glowed like torches with Talent: her Sisters. They were protecting her, and nothing could stop them. Vi’s heart swelled to bursting. These women would die for her. For the first time in her life, she belonged. That paragraph makes me want to cry every time I read it. I’m not sure how effective it is without context, but you know how to get that? Read the damn book. Please. There’s another paragraph that has a similar effect regarding the relationship between Kylar and Durzo, but I can’t post it without revealing the plot. I’ll just say that it’s developed and portrayed beautifully. I was deliriously excited to discover that Mr. Week’s has written a novella on Durzo’s history (read more here) and I’m sure it won’t take me long to devour. All that focus on the characters and their feelings doesn’t diminish the intensity of the war one bit. 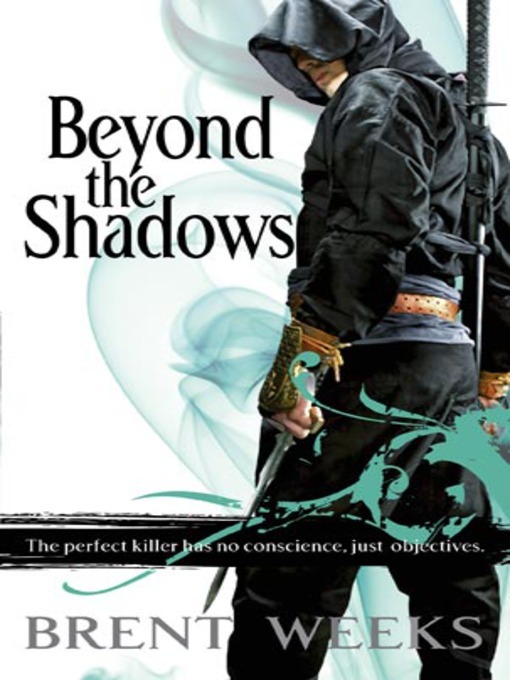 Without doubt, Brent Weeks writes some of the most consuming battle scenes I’ve ever read – mobilizing units, battle magae, terrifying creatures, unleashed Goddesses – without ever repeating or slowing down the action.